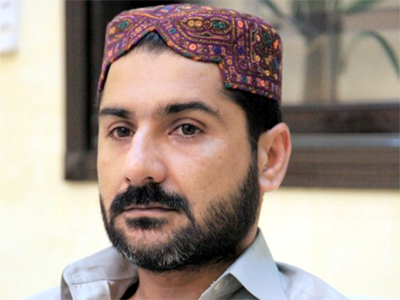 KARACHI: The federal government on Tuesday submitted a response in the Sindh High Court (SHC) over the production orders for Uzair Baloch. The federal government in its response stated that Uzair Baloch was facing a case in military court and SHC did not have the jurisdiction to issue the order. Baloch’s counsel Advocate Shaukat Hayat asked the court to provide information pertaining to whether his client was alive or not. Justice Aftab Ahmed Gorar of the SHC answered that Baloch is alive. Hayat pleaded the court to allow Baloch to meet his mother and family members on a humanitarian basis. Following the plea, the SHC summoned response from the federal government and adjourned the hearing till February 11. In April 2017, Inter Services Public Relations (ISPR) Director General (DG) Major General Asif Ghafoor tweeted that Uzair Baloch was arrested under Pakistan Army Act as he was facing allegations of providing national secrets to foreign intelligence agencies. Uzair Baloch’s mother Razia Begum had filed a petition in the SHC seeking production orders for her son.